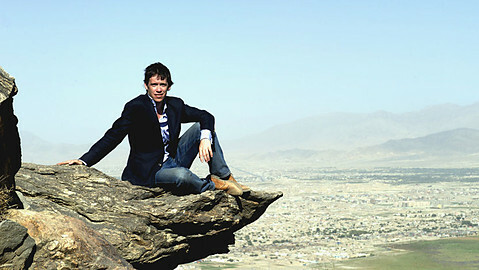 Rory Stewart provides an account of foreign intervention in Afghanistan from the 19th century to the present day. In episode one Rory Stewart tells the story of British interventions in Afghanistan in the 19th century, when the British Empire became obsessed with the idea that their rival, Russia, was considering the invasion of Afghanistan as a staging post for an attack on British India. It was a period of mutual suspicion and paranoia that later became known as “The Great Game”. Afghanistan was perceived by Victorian Britain, as it’s believed to be today, to be an immediate threat to British national security. In this first film, Rory tells the story of the decision-making that led to the first British invasion of Afghanistan, and the three Anglo-Afghan wars fought in this era. And he tells the story of Afghanistan’s unlikely reaction to this period, when an Afghan-elite made a futile attempt to impose western-inspired ideas and modernity on the country. In episode two, Rory tells the story of the Soviet invasion of Afghanistan in the twentieth century, and its parallels with the later American-led coalition’s intervention. He explains that, quite contrary to popular understanding, the Soviets were reluctant invaders who agonized over the risks of intervention, but despite all these misgivings, they were sucked into Afghanistan. At first they thought it would take them a matter of months, but eight years later, when they departed, they had gained nothing but humiliation and horror. In this film Rory meets the soldiers and generals on both sides, and he meets the CIA spies who covertly funded the Afghans to the tune of nine billion dollars. And he explains the bloody and tragic aftermath of this invasion – civil war, the rise of the Taliban, and the US-led invasion following the World Trade Centre attack.